DreamCatchers is a music therapy & musical theatre program for children of all abilities. 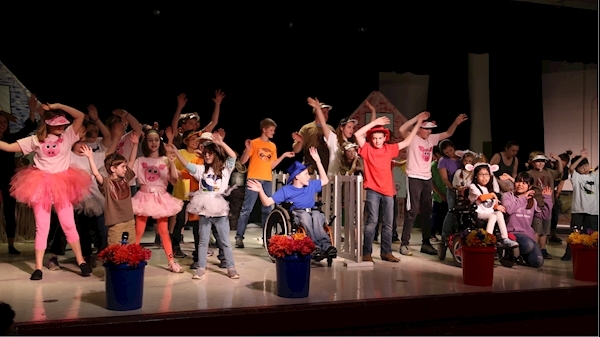 The program provides children and teens ages 5-18 the opportunity to participate in an extra-curricular musical theatre experience in an exciting, safe, and supportive environment for self-expression at low cost to families. Classes will be held once a week for two semesters. The group will learn and practice for musical performances at the end of each semester. Your kids will sing and dance, while learning new skills and building lasting friendships. Participation in DreamCatchers will allow all students to use the life skills that are inherent to music and theatre production that help foster and maintain social cohesion, interaction, and understanding amongst families and children with and without disabilities.